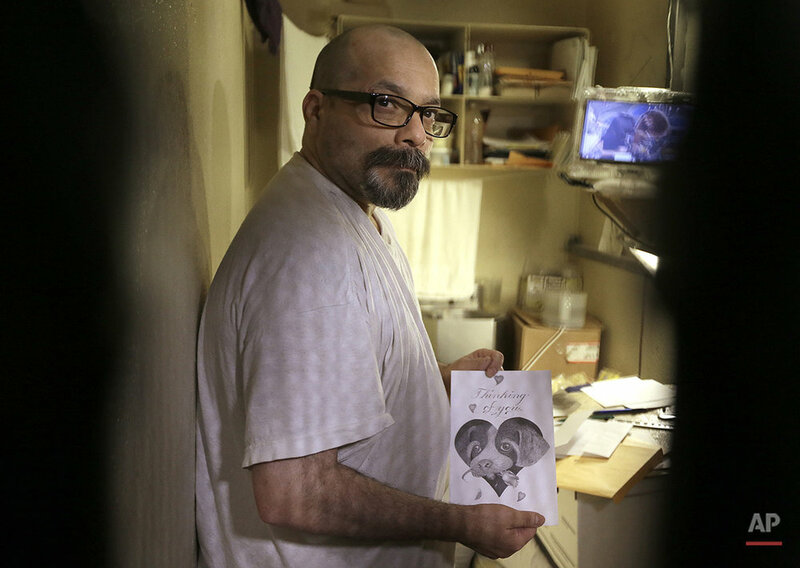 With executions on hold in California and a death penalty appeals process that can take years, many inmates on the nation's largest death row say they spend little time worrying about the lethal injection that may one day kill them. 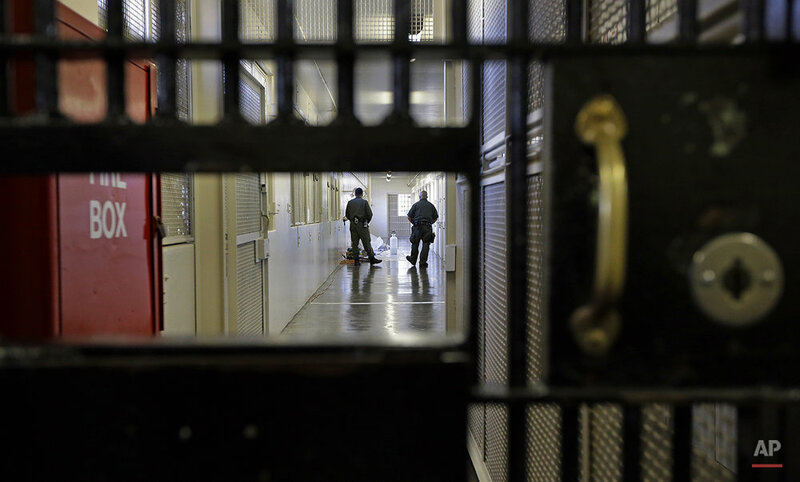 "It's almost like it's not even a real punishment for a lot of people," said Charles Crawford at San Quentin State Prison, where the vast majority of the state's nearly 750 condemned inmates are held. 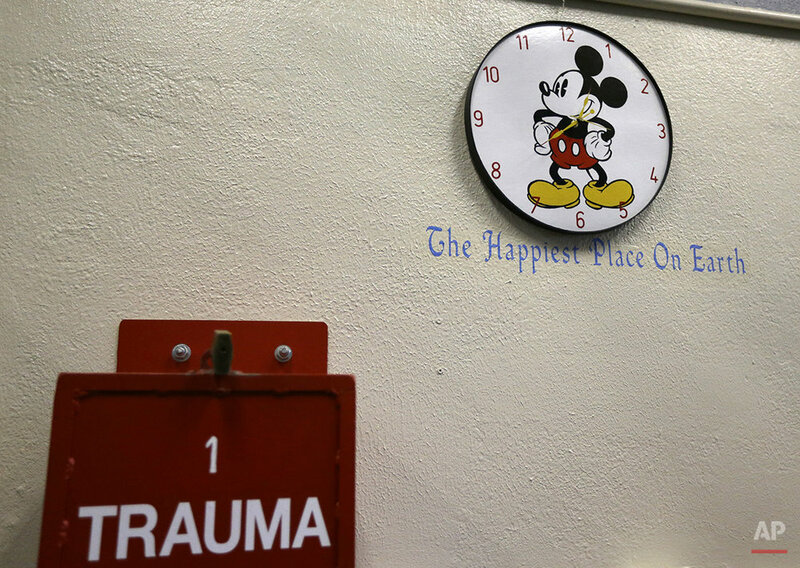 Crawford, who has been at San Quentin since 2002 for killing two people, spoke during a rare tour by prison officials of death row and the death chamber, with its sea green gurney where executions by lethal injection would take place if they resumed. The tour on Tuesday came as the state considers a one-drug execution protocol to replace a three-drug method that a federal judge invalidated in 2006 as a potentially cruel and unusual punishment. Voters in 2016 may also get a chance to weigh in on competing death penalty measures — one would scrap capital punishment, and the other would speed up executions by providing inmates with more appellate lawyers and faster appeals. "By the time they get to me, I'm going to be dead anyway," said Charles Case, 75, who killed two people at a bar during a robbery. 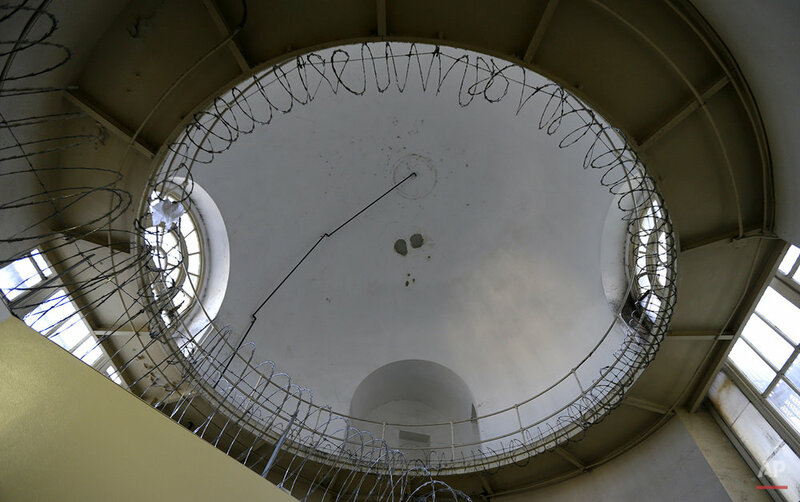 Case was alone in a cell behind a mesh door in the musty, five-tier East Block, where most death row inmates are housed. Many of the cells were dark, their occupants quietly lying on their beds. A sign outside Case's cell indicated his "kosher" meal preference. Since 1978, California has executed 13 people. 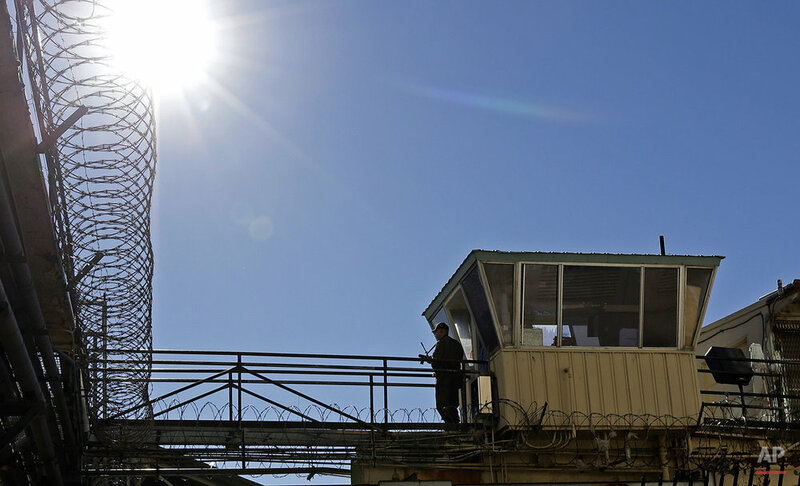 More than 90 other inmates have died of natural causes or suicide, according to prison officials. The 10th anniversary of the state's last execution is Jan. 17. Case described San Quentin as the "worst place he's ever been," and said after 19 years there, he was ready to die. 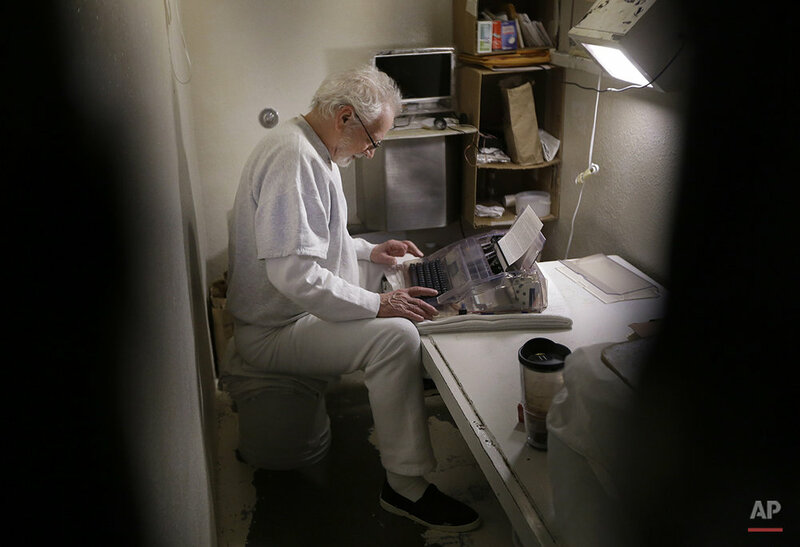 "Don't abolish the death penalty, fix it," he said, sitting on an overturned white bucket while typing a letter to his attorney. A few cells down, Richard Hirschfield, said he, too, would likely die before his execution. Hirschfield was convicted in 2012 of kidnapping and murdering 18-year-old college sweethearts and sexually assaulting the woman. He is in his late 60s and said he is diabetic. 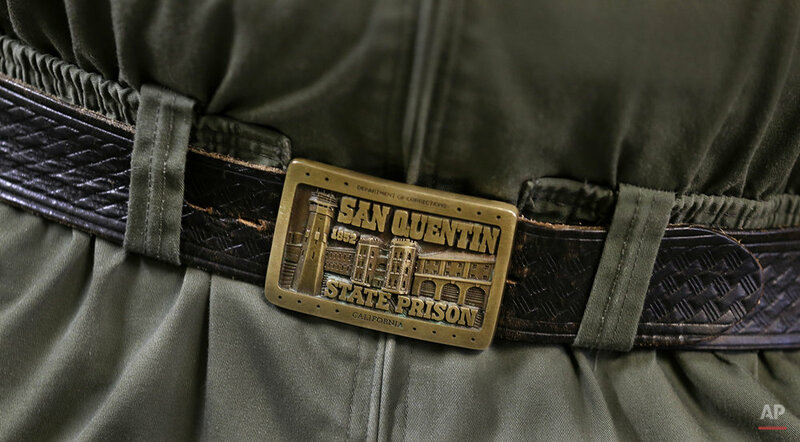 East Block inmates receive a minimum of 10 hours of recreation time a week in a yard that includes heavy bags and basketball courts, San Quentin spokesman Lt. Sam Robinson said. They can also communicate with neighboring inmates. Hirschfield said he elects to spend his days in his cell and keep to himself. He grabbed his cell bars and pulled himself up from his bed, demonstrating one of the exercises he said he does to try to stay fit. "It's enough for an old man," he said. Inmates described their lives as monotonous, spent reading or watching the news or other programs on small televisions that prison officials say must be purchased. Most said they were innocent and declined to talk about their convictions. Raul Sarinana, 48, makes pencil drawings and proudly displayed a card with a puppy holding a rose in its mouth inside a giant heart. The card said, "Thinking of You." Sarinana and his wife were convicted in 2009 of torturing and murdering their 11-year-old nephew. He said he made the card for another inmate who wanted to send it to family. He exchanges his drawings for pencils and other supplies. "I do my drawings to get through my day," he said. "I don't think about tomorrow." 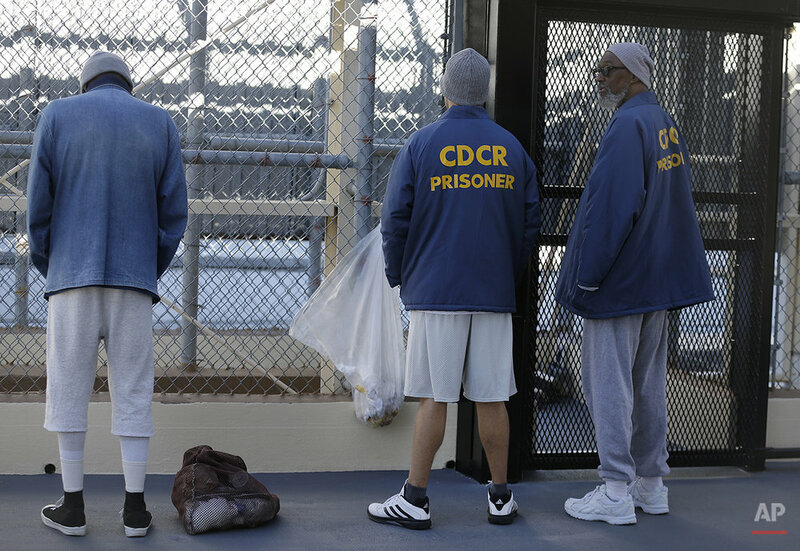 The best behaved inmates at San Quentin are in the North Segregation unit, where they get to spend more time out of their cells than other condemned inmates, Robinson said. Scott Peterson, among San Quentin's most famous inmates, was inside a caged outdoor basketball court at the unit. He turned his back to reporters and declined to be interviewed, saying he wasn't interested, "thank you." Peterson was convicted of killing his wife Laci, who was 8 months pregnant with their son, and dumping her body in San Francisco Bay on Christmas Eve 2002. He has maintained his innocence. Steve Livaditis, 51, another condemned inmate, shot a basketball near Peterson. He pleaded guilty to three counts of murder in a 1986 robbery at a Beverly Hills jewelry shop and said he accepts his fate. "Whatever the outcome is, I'm going to assume it's God's will," he said. He later added, "I wish I had not done what I did, but there's no way to go back now." 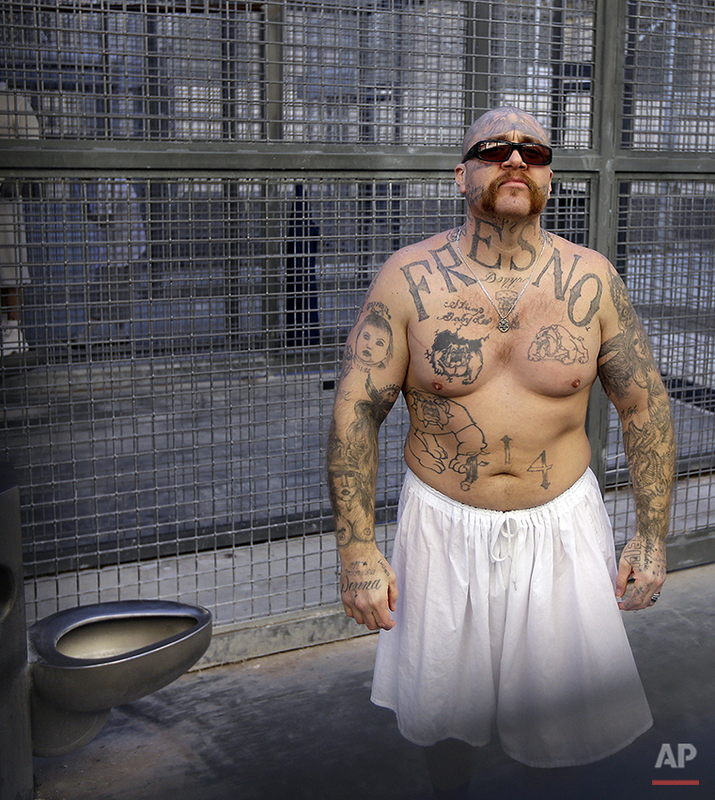 Text from the AP news story, California grants rare look inside largest death row, by Sudhin Thanawala.